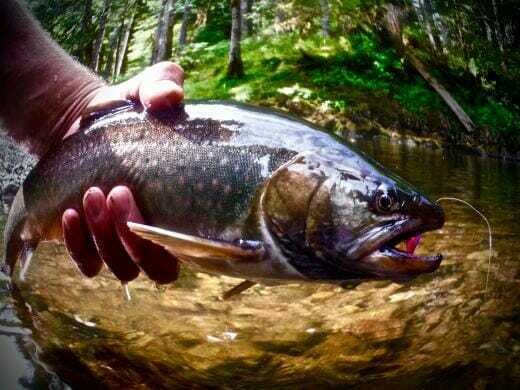 A Dolly Varden in southeast Alaska, caught on a tenkara rod. Boulder, Colorado, thinks differently. While at times mocked for its free-range ideas and hemp-fueled lifestyles, there’s no doubt the “People’s Republic” is booming as a hub for creative entrepreneurs and independent thinkers. Oh yeah—it doesn’t hurt that Boulder is surrounded by world-class outdoor opportunities, from rock climbing to trail running to fly-fishing. So it’s no surprise, perhaps, that Boulder has proved to be fertile ground for planting tenkara, the traditional Japanese fly-fishing method centered around a simple telescopic fly rod and attached line. Tenkara gets back to basics: Think cane pole with fly. No reel. No multiple fly boxes. No split shot or floatant or strike indicators or other assorted accessories and gewgaws that, in the eyes of some, clutter up the sport while draining our wallets. Tenkara’s “one pole, one line, one fly” vision of angling simplicity is drawing an increasing number of American adherents. Initially dismissed by some in the fly-fishing community as a “fad,” tenkara has experienced slow and steady growth to take its place as a viable alternative to Western style fly-fishing. But transplanting a Japanese tradition to American soil has sparked a fascinating and (mostly) friendly debate about the role of tradition and innovation in fly-fishing. 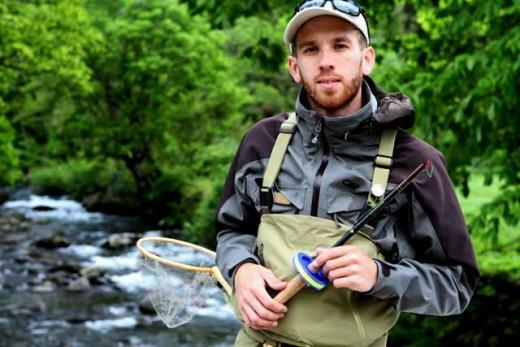 alt=”” title=”” />Daniel Galhardo, a soft-spoken 30-something who looks younger than his years, is credited with introducing tenkara to the American angler. On a trip to Japan in 2008, he wanted to fly-fish and discovered tenkara—and soon ditched his international banking ambitions to become a missionary for tenkara in America. “Tenkara showed me that there was a different way to think about fly-fishing,” he said recently. Under the tutelage of tenkara masters such as Dr. Hisao Ishigaki, Daniel learned to think more in terms of simplicity and technique, rather than hardware and technical advantages. The rods were simple, elegant, easy to transport and quick to set up. In 2009, he started a company, TenkaraUSA, with the aim of introducing tenkara fishing to the U.S. market. It didn’t catch fire right away. Using one fly “is a hard concept for Americans,” Galhardo admits. “We’re trained to match the hatch and constantly change flies. But if you know how to present properly, you might not need to do that,” he learned. In 2010, Daniel (then living in the Bay Area) paid a visit to the Boulder area to fish tenkara with fly-fishing authors John Gierach and Ed Engle. 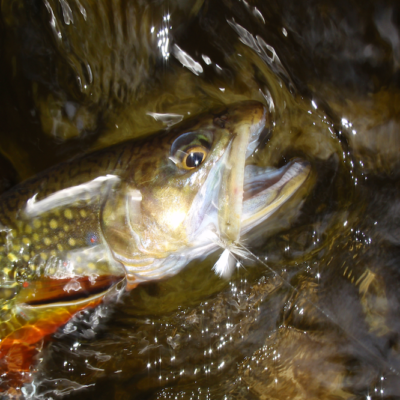 They took to tenkara—and Daniel took to the Boulder area, in a big way. “I immediately called my wife and said, ‘We have to move here.’” They made the move in 2012, helping put Boulder (and Colorado) on the map as a hub for tenkara enthusiasts, guides and businesses. He liked that Boulder attracts people who are open-minded and interested in exploring different alternatives. Moreover, Boulder was home to a growing number of outdoor companies and had a thriving start-up scene. He’s enjoyed a “big-time dialogue” with like-minded entrepreneurs in the area. Galhardo sees his role as transmitting a distinct tradition. “I’m a storyteller,” he says. He wants to introduce American anglers to tenkara fishing as it has been practiced for ages in Japan. Galhardo insists he’s not a traditionalist for tradition’s sake. He is not wedded, for instance, to using Japanese terms and names. He acknowledges that there are different ways to interpret “true” tenkara. And he welcomes the competition from the growing number of American tenkara businesses—a sign of health in the emerging market. Others are not shy about giving tenkara a decidedly American spin. Karin Miller is the blonde dynamo behind Zen Tenkara, a company based in nearby Loveland. She discovered Tenkara in 2010 and has never looked back. “The fixed-line system just struck a chord for me—it was just so simple,” she told me. alt=”” title=”” />In 2012, she and her then-husband started Zen Tenkara with the idea of “selling a few rods out of the back of our car.” She took Galhardo’s move that same year to Boulder as an encouraging sign of momentum for tenkara. 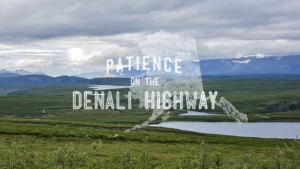 Miller admits she’s less of a purist on tradition than Daniel, who is deeply interested in Japanese culture and the tenkara tradition as practiced in Japan. She has never been to Japan, and doesn’t have much interest in going there. Early on, she ran into a buzzsaw of criticism from some tenkara purists over Zen’s unorthodox rod offerings. Her Baichi rod (which Zen no longer offers) was, in her own words, “stiff and thick.” That wasn’t an accident—the idea was to offer it as a Czech-style nymphing rod. Because—why not? The community is changing, she said. “A few years ago, there were a lot of purists attracted to Japanese culture.” Today, a lot of her customers just want a new fishing experience or want the convenience of tenkara for mountain biking and backpacking. Miller says she has a great respect for tenkara tradition, but she’s also intent on adapting it to American soil. That’s a very American impulse: borrow, innovate—and make it our own. Think pizza, she says. But how far to go in pushing the envelope on tradition? At what point does it stop being tenkara? 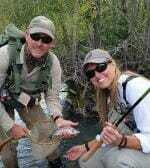 She seconds Daniel about how Tenkara is a perfect fit for Colorado’s mountain streams. But she’s all about experimenting and pushing Tenkara rods to the limit in places like the Florida Keys—where, on a recent trip, she was landing small sharks and tarpon on a heavier tenkara rod tricked out with a 35-foot line and big streamers. To her surprise, the rods were up to the challenge. And it was a hoot. It’s about having fun, she insists—and trying something new. How tenkara will evolve in America is anyone’s guess. But it’s firmly taken root here in Colorado, with a mixture of tradition and ingenuity that’s created a new experience in fly-fishing. Keep it simple. “Simple” is the buzzword nowadays, but it’s often not taken literally. You can make the most of tenkara when you use only what you need: rod, line, tippet and fly. Leave behind what isn’t absolutely necessary. Fish it like tenkara. Anglers will often use a tenkara rod in the same way they fly-fish with a reel, but to utilize the best of tenkara, take a look at how it is done by anglers in Japan. For example, rather than laying line on the water (and thus having to mend), keep the rod tip pointed up and the line off the water to completely eliminate drag. 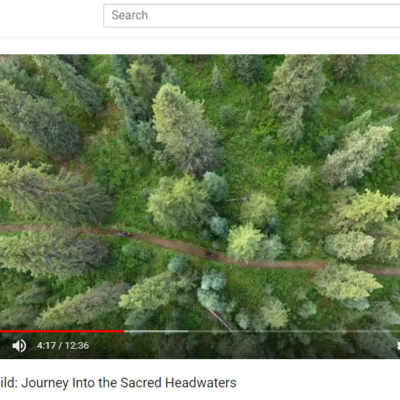 Visit tenkarausa.com/videos for other examples. Keep the fly in the water. The fly must be in the water to catch fish. Reducing your fly changes and the amount of false casting you do will result in the fly spending longer in the water and giving fish a better chance of grabbing it. 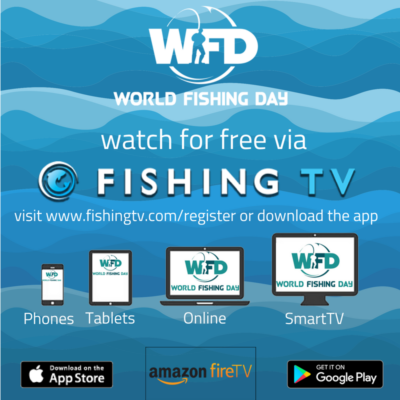 If you change your fly 20 times over the course of a day of fishing, and every time it takes 3 minutes, that’s one entire hour when the fly was not in the water. Believe in the fly you have tied on. Within reason, fish are looking for any chance of eating, and second-guessing fly choices can be counterproductive. Tenkara anglers don’t change flies very often (some never do!). Choose a reasonably sized fly, present it in different ways and work on enticing fish with that fly or finding fish willing to eat it. Move, move, move. 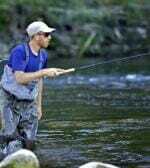 At least when fishing a mountain stream, fish will most often take the fly in the first couple of casts. While some pools may deserve more time, in most places I advocate casting the fly between 3 to 6 times. If no fish has taken the fly, move. Sometimes by stepping upstream just a couple of feet, you can present your fly differently enough to entice fish, or put it in front of a fish more willing to take it. Randy Scholfield is the southwest region communications director for Trout Unlimited.